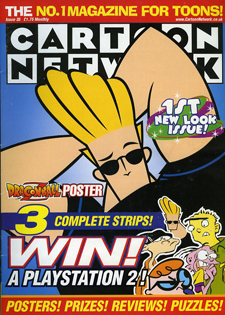 As editor of the late and great Cartoon Network Magazine, I revamped it, doubling the sales for the relaunch issue (though the three free gifts might have helped the sales a little). We also added an originated Mini-toons strand that remained with the title long after I’d moved on. To this day I think Mojo Jojo and Him are two of the world’s greatest super villains.